Firebirds unlikely to pose a threat, but Pac-12 schedule looms. Trent Nelson | The Salt Lake Tribune Utahís Delon Wright (55) loses the ball in stiff defense as the University of Utah hosts Ball State, NCAA basketball Wednesday November 27, 2013 at the Huntsman Center in Salt Lake City. The St. Katherine Firebirds will play at San Diego State on Friday night. They will then travel to Utah to face the Utes at the Huntsman Center on Saturday afternoon. They lost to Weber State earlier in the season by more than 50 points. They are in their first season of college basketball. In other words, don&apos;t expect this to be a close game when they roll into Salt Lake City. Utah knows this. Larry Krystkowiak knows this. It&apos;s been a tough week of sorts because of this. The Utes open their Pac-12 schedule next week against Oregon. And one of Krystkowiak&apos;s staunchest rules is to never overlook an opponent. "We respect every opponent and we value every game," Krystkowiak said. "We know that St. Katherine is going to come in and play hard. We have to worry about us. We have to make sure that we&apos;re prepared to play hard and play well." But that&apos;s been difficult in this case. While Utah&apos;s two practices since Christmas weren&apos;t focused on Oregon, they did have principles centered around what the Ducks do. And while the Utes won&apos;t speak publicly of the Pac-12 schedule, it&apos;s been hard for the players and coaches to not think about the road ahead. If anything, the St. Katherine matchup gives Utah 40 minutes of conditioning to get back into game shape. The Utes took four days off for the holiday, and their conditioning could be slightly off. Saturday&apos;s game will also give Krystkowiak the opportunity to take one last hard look at the younger players on his roster, one more chance to determine who can and can&apos;t help once the curtains go up for real next week. The Firebirds have two Utah natives on their roster, both of whom played at Union High. Stephen Merrill is a 6-foot-8 center and Jonathan Wood is a 6-7 power forward. Both give St. Katherine a measure of size to throw at the Utes. Utah is 30-2 all-time against NAIA schools. The last such loss for the program was way back in 1957, when Oklahoma City squeezed out a 69-68 win. 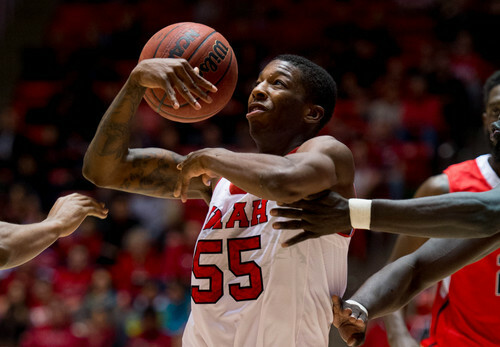 Tipoff • Saturday, 2 p.m.
About the Utes • Delon Wright is currently second in the nation with a .713 field-goal percentage. … Utah&apos;s won nine of its last 10 games by double figures. … Utah&apos;s won 12 consecutive games at home. … Utah is fifth nationally with 19.7 assists per game. About the Firebirds • St. Katherine is in its first year of competition. … The Utes will be the third team from the state of Utah that the Firebirds have played against.